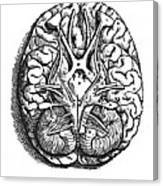 There are no comments for Vesalius: Brain. Click here to post the first comment. 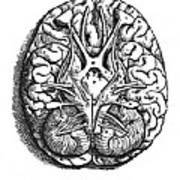 VESALIUS: BRAIN. 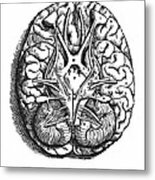 The base of the entire brain and cerebellum freed from the surrounding membranes so that the origin of the cerebral nerves are exposed to view. 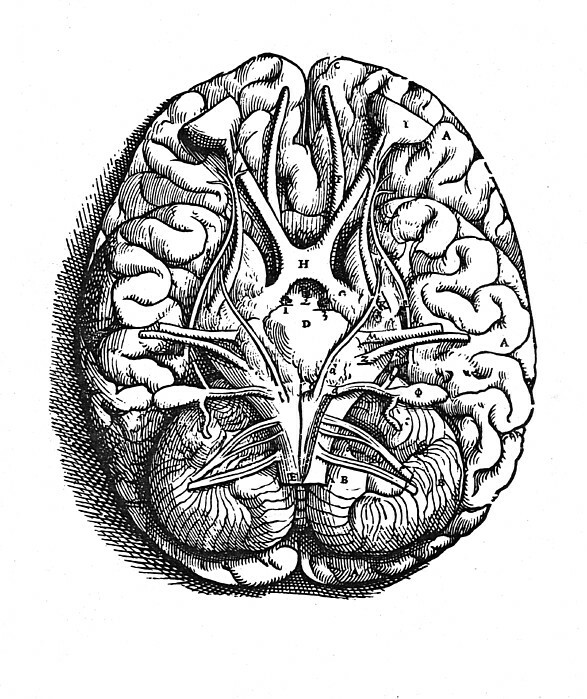 Woodcut from the seventh book of Andreas Vesalius' "De Humani Corporis Fabrica," published in 1543 at Basel.